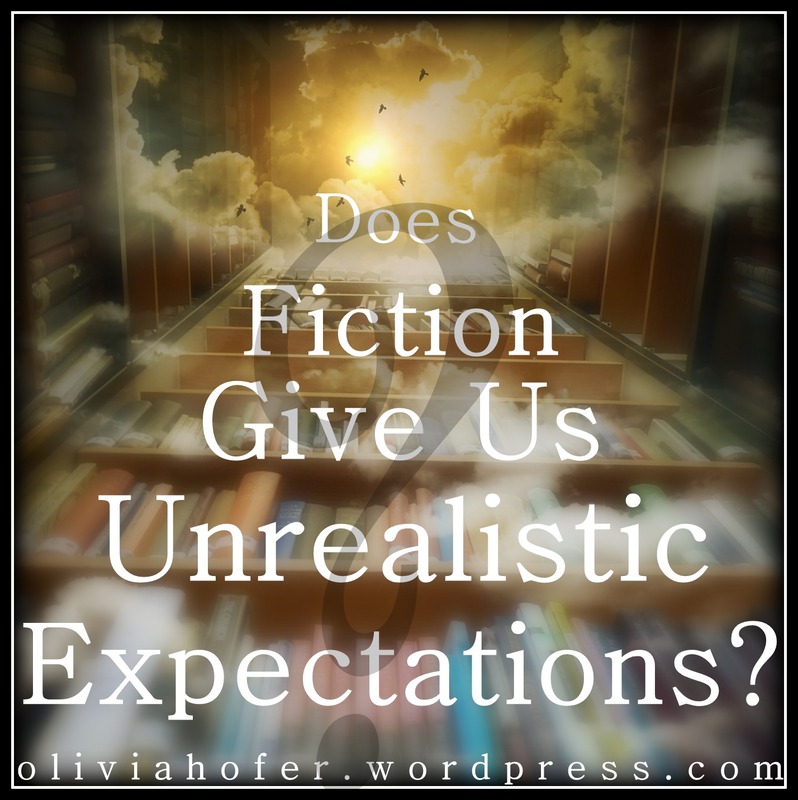 Does Fiction Give Us Unrealistic Expectations? Ought we to tie our petticoats in a knot fretting that extensive reading may negatively impact the mind? Does immersing ourselves in fictional worlds detach us from the one in which we live? Do stories, with their larger-than-life turns of events and explosive endings, give us false expectations for our own lives? Must writers necessarily portray a misleading or romanticized portrait of reality when they tell a story? In short, does compelling fiction augment reality? On the contrary, I would argue, powerful fiction compresses reality, so that we can begin to comprehend its vastness within the scope of our limited perspective, thereby expanding our vision outward to perceive the grandest of truths which before we were too nearsighted to see. In effect, reality is a mosaic, and fiction distances us from it just enough to perceive the larger picture, and therefore, almost paradoxically, brings its meaning that much nearer to us. If literature appears to embellish actuality, it is only because, as Alfred Hitchcock famously remarked, “drama is life with the dull bits cut out”. It truncates the lines connecting the dots so that the image is more compact and potent in nature. Distilling truth in this way at once sensitizes us to the grander aspects of life to relish them more fully and eagerly anticipate their coming, while drawing our attention to the smaller stepping stones that exist between them in real life, that we may better appreciate their significance and more patiently endure their passing. Exploring circumstances different from our own compels us to extricate the eternal from the temporal, to confront what transcends time and place, culture and custom. We shed, layer by layer, the outward trappings of life to lay bare what really matters in the end. That said, is all fiction constructive in these ways? Surely there are books that inadequately convey the truths of the universe, and books that adeptly portray mistruths. The author must make it his mission to write with honesty the subjects that pursue him, and to write well. And so in immersing ourselves in such stories, we do not escape from reality so much as plunge into the very heart of it. Tell me your thoughts: In what ways have stories opened your eyes to truths, little or big, that you hadn’t considered? Do you find that fiction more often disillusions you to the world in which we live, or endears you toward it—or accomplishes both simultaneously? Have you encountered stories that fail to portray reality honestly, either by sugarcoating or painting an irrationally bleak portrait of life? These days, I find fiction one of the best lenses through which to view life. Countless books have provided me with aha moments, leading me to deeper truths about God, people, myself, the world, etc. A number of books did me harm as a child, less because of materialistic romanticization (in some ways my childhood actually was like a storybook) than characters whose influence made my young life far more miserable than it had to be, and in some cases emphasizing the wrong things. But of course I also encountered books that had a positive impact and helped to combat those issues. Those are the best kinds of books, I think—the ones that make you go, “Oh, I hadn’t thought of it that way…” and then as you go on your way you continue to look at things a little (or sometimes a lot) differently. Profound prospective for an argument that cuts through the ages. I agree wholeheartedly. Great post, Olivia! I totally agree. I think many books have opened my eyes to realities such as mental illnesses and the concept of death. It’s hard to grasp those things unless you’re in the mind of someone experiencing them even if it is fictional. That’s the great thing about fiction—it enables you to experience in a sense things that can’t be understood any other way, which helps us both to make sense of the world for our own sakes and empathize with others who have undergone trials we haven’t. It’s capable of opening our eyes to things like death and mental illness, and, if well executed, even the things which transcend them. Thanks for the comment. I enjoyed your thoughts!